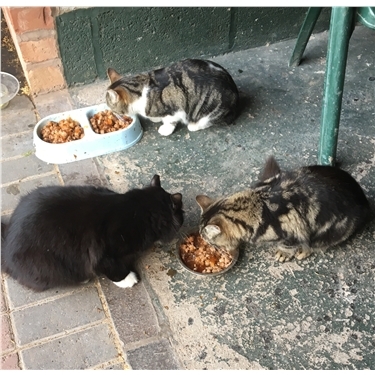 When an unwanted animal is adopted it’s obvious how they will benefit from the arrangement; namely food, warmth and a safe place to call ‘home’. But often the person rehoming the pet is just as lucky. One man that would undoubtedly agree with that assessment is Gosforth-based Phil Sherry. 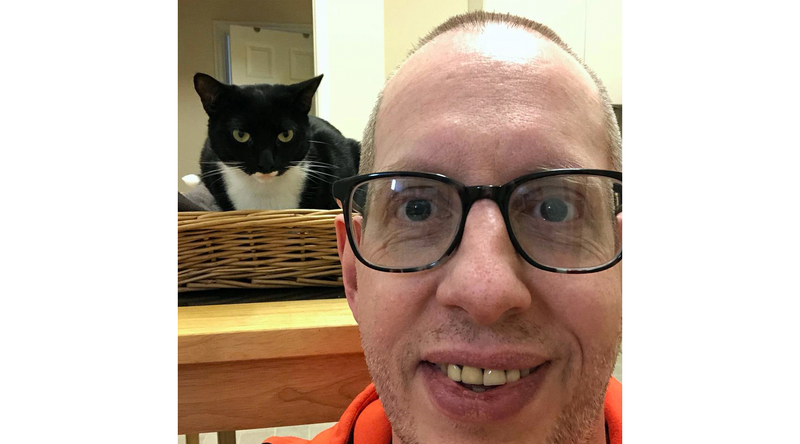 Phil recently opened his home (and his heart) to Tasha, a Cats Protection Gateshead & Newcastle Branch cat who had been in foster care for over a year. “I’ve always been a cat fan, but haven’t been able to live with any for the last five years, due to landlord restrictions,” he explained. “Coincidentally, my mental health has gone downhill a lot during those five years, so I decided I had to tackle the problem. 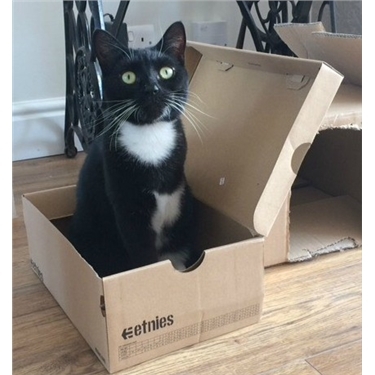 Since he works full time and lives near a busy road, Phil was restricted to rehoming just one house cat, so that narrowed down the options when choosing which pet was right for him. But it was a chance event that led him to Tasha, who is now called Lucy Fur, a name based on a play on words from a song by one of Phil’s favourite heavy metal bands. “It was sheer luck. I was getting a lift to an event I was speaking at and my talk had lots of cats in it as visual metaphors, so I was thinking about cats,” he said. Lucy Fur moved in with Phil shortly after and the rest, as they say, is history. Once unwanted and unloved, the charismatic tuxedo cat soon made herself right at home. “She absolutely loves her new life here,” he revealed. Described as “sassy, hilarious and loyal”, it’s plain to see how Phil’s new companion has enhanced not only his home, but also his wellbeing. “It’s long since proven as fact that time spent with cats is great for your mental health. Plus, it’s just the right thing to do,” he said. 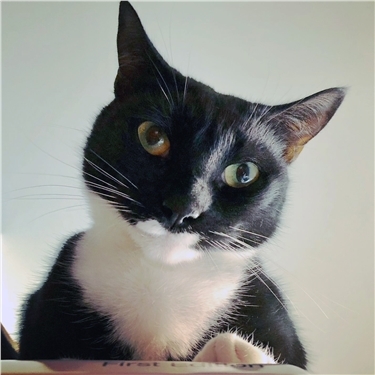 Now an advocate for Cats Protection and its work, Phil is keen to encourage others to consider adoption: “Unfortunately, there are still too many cats roaming around with their bits intact, so there are many unwanted kittens and cats that arrive at rescue places. Follow Lucy Fur’s adventures on her dedicated Instagram account.